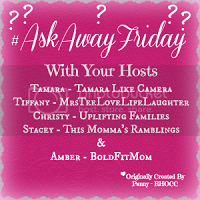 Welcome to my very first Ask Away Friday. I started off just peeping in quietly to see what it was all about and before I knew what was happening, I’d volunteered to give it a go. 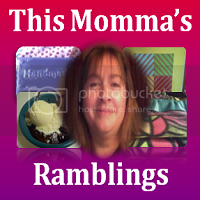 The lovely Stacey from ‘This Momma’s Ramblings‘ welcomed me into the family and explained how this all works: we ask each other ten questions then post our replies – simple and a great way to get to know other bloggers. I had fun browsing round Stacey’s blog. I picked up a recipe or two, discovered there were ‘Meandering Mondays‘ and ‘Turn it up Tuesdays‘. I got to know a little about Stacey through reading her other #AskAwayFriday interviews, and following her links I discovered a friendly little community of mummy bloggers. 1. Okay, now after reading some of your stories and your about me page, your area of the universe sounds like a dream for me. Someday I dream of touring the whole of the UK. Where would you suggest that I go? Where would you take me? Oh how to choose… each county in England has its own areas of beautiful countryside, attractions and historical interest. The National Trust properties are a great way of touring these whichever area you find yourself in. I would take you back to my home county Lancashire, with its rugged, wild moors and friendly folk. I’d take you out to a quaint old village pub and let you sample a Lancashire hotpot. 2. What is one guilty pleasure you enjoy too much to give up? Shhh don’t tell anyone! I watch Big Brother. I simultaneously hate it and love it and vow each year not to watch the next series. Then it comes on again and within a couple of shows I’m hooked for the duration. 3. If you could do anything you wanted, and money was no object, what would you be doing? I would give up my current job as a college lecturer and run activity days in our little woodland. I love the freedom of being out in the woods but even better is seeing the joy it brings to others. I have organised several themed days with woodland crafts and activities for my daughters and their friends. I’m currently planning a spooky Halloween adventure, complete with witches stew cooked on the camp fire, apple bobbing and scary stories. 4. What’s one thing you’d rather pay someone to do than do yourself? Why? Cleaning without a doubt! Juggling a job and entertaining three small girls AND keeping a spotless house is impossible. When my children are grown up they won’t remember if the floor was swept or the dishes were washed but they will cherish the time we spent making special memories. I know this and it is my priority but a little part of me wishes the cleaning fairy would flutter round and wave her magic wand. I wish I could kiss the girls goodnight and relax in a clean and tidy house. 5. What is your fondest dream that you have yet to accomplish? 6. What does your dream vacation look like? Where do you go? We secretly got married on the beach on the Riviera Maya in Mexico. It was idyllic; sea, sunshine and fabulous food. We mailed everyone a wedding photo when we got home and sat back and waited for the shocked replies. I would love to revisit the area but this time with the children to see it again through their eyes. 7. What are five things that you like to do for just you? 1) Reading – a good book in peace and quiet – bliss! 2) Writing – whether it be stories, poems or blog posts, just time to dream is lovely. 3) Cryptology puzzles – this is a new hobby. I took part in the US Navy cryptology challenge ‘Project Architeuthis‘. I learnt as I went along and ended up being one of the winners. I will definitely be doing the next challenge. 4) A child free bubble bath – without rubber ducks and plastic toys floating round me. 5) And finally snuggle up on the sofa with my husband in front of an open fire and watch a good movie. 8. What type of books are your favorite kind to read? What is your favorite book / author? I used to love reading psychological thrillers and about forensic anthropology – authors like Kathy Reichs. When I find an author I like I obsessively read everything by them. By chance I met author Lesley Hayes through Twitter, she linked me to an indie author group and encouraged me to read and review other genres. My favourite book of the moment is Lesley’s ‘The Drowned Phoenician Sailor‘. 9. Do you have a favorite story from your childhood that you have read to your kids? I loved reading all the books by Enid Blyton as a child (another guilty pleasure.) I recently shared the Faraway Tree trilogy with my girls. I can’t wait until they’re old enough to read the Adventure series and the Secret Seven. 10. What would your dream pamper day consist of? Your answers were wonderful! I gave up on a spotless house years ago…maybe once the kids have all moved out and it is just the hubby and I. LOL! We got to take our kids to the ocean for the first time last Christmas and it was so amazing watching them experience that. Oh you should definitely try to get your stories published, they are wonderful! Have a great weekend and thank you so much for swapping with me this week! Thank you too Stacey. I saw a quote: ‘Cleaning with kids in the house is like brushing your teeth while eating Oreos.’ That just about sums it up! Fantastic questions and answers! Your wedding sounds so beautiful and I love the fact the you would give up your job to run woodland activities! That sounds like so much fun! I hope you enjoyed Ask Away Friday and I can’t wait to learn more about you! Hi Echo – I’m also looking forward to finding out more about you and comparing notes on our threenagers! I’m sat in a play centre trying to work and my threenager has chosen not to go on any of the play equipment with her sisters. Instead, she’s rearranging my hair so I can’t see my laptop and playing the ‘how many things will fit down Mummy’s top’ game. So far I’ve acquired three hair clips, a plastic spoon, a small dog and a My Little Pony from the collection of random objects she carries round in a backpack! Oh the joys!